The United States yesterday gave Malawi $27 million (K20 billion) in response to the food shortage that has affected about 2.8 million Malawians. The development brings America’s total contribution to the humanitarian response to $55 million (about K41 billion) which represents about 44 percent of the K 92.7 billion the country needed to provide monthly food or cash ration to the startling population between October last year and April 2016. 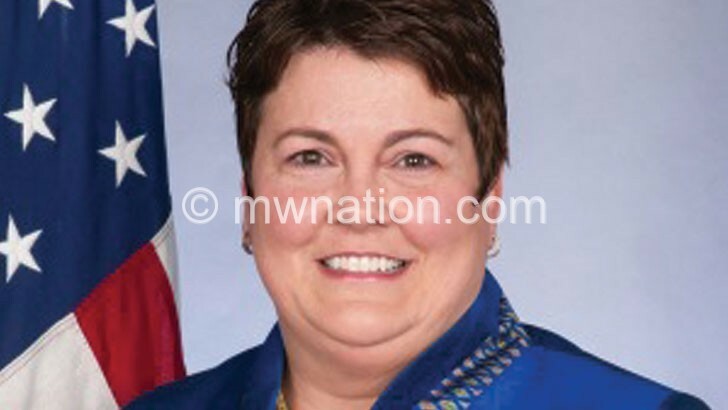 In a statement issued yesterday by the US Embassy in Malawi, the American government said the support would fill the country’s immediate needs while also supporting preparations for the next humanitarian response which is in pursuant to discussions with President Peter Mutharika on steps to break the current food insecurity cycle. “As with its previous donations, the United States has channelled its latest contribution of $27 million [K20 billion] through the United Nations World Food Programme [WFP],” said US Ambassador Virginia Palmer in the statement. “This contribution underscores the United States’ dedication to assisting the people of Malawi as they generously host their neighbours during times of need,” she said. Since 2012, the United States has provided over K71 billion of food assistance to Malawi in addition to activities being supported by US President Barack Obama’s Feed The Future and Global Climate Change Initiatives, the US Agency for International Development (USAid) valued at $25 million (about K18.8 billion) annually. The support above is aimed at reducing food insecurity, poverty and under-nutrition by increasing agricultural production and helping communities adapt to climate change. When are we going to quit subsidizing failure and begin to reward progress? People claim that we need to address ’emergency’ situations–which is true–but due to the nation’s over-reliance on maize we have turned the most agriculturally productive time of the year (the rainy season) into an annual and chronically reoccurring ’emergency’ which we now refer to as the ‘hungry season’. We can continue to send the ambulance into the valley, or we can start to build a bridge around the cliff. The choice is up to us. Imagine what could be done with a 20 billion kwacha investment in the promotion agroecological and ‘climate smart’ practices such as: crop diversification, agroforestry, organic fertilizers, utilization of traditional crops, the saving of open-pollinated seeds, mulching, building of swales and check dams, aquaponics, worm farming, reforestation, animal management, composting, bee keeping, fish farming, water harvesting, renewable energies, intercropping, green manures, diet diversification, etc. Instead we spend billions on food aid and drought insurance and then hope for different results next year as we end up doing the exact same thing.